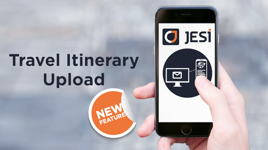 The ability for travelers to automate a journey from an itinerary received from a corporate travel agent has significantly increased our users experience and has enabled clients to monitor all aspects of their workforce journeys, irrespective of the type of transport being used. In the past a Journey Management process, generally was only applicable to those who were driving, however the itinerary syncing means that users can create and monitor an entire end to end journey without incurring additional costs. This has been a huge benefit to clients who now have centralised and real time access to viewing where their people are located.